KDU University College is a familiar name to Malaysians, especially those who are about to start tertiary education. 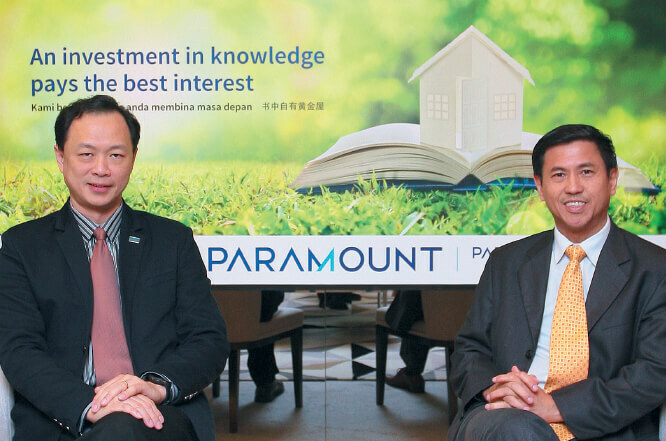 Paramount Corp Bhd was one of the first few property developers to venture into the education sector. Today, its education arm oversees one college, two university colleges, a private national school and an international school. Chairman Datuk Teo Chiang Quan is one of the founders of KDU, which stands for Kolej Damansara Utama. Set up in Damansara Jaya in 1983, the institution’s original campus is still in operation today. In 1991, KDU expanded to Penang, and both its colleges were upgraded to university college status in 2010. Then, in 2015, KDU University College was moved to Utropolis Glenmarie, where its campus has been certified a green building by the Green Building Index. KDU College continues to occupy the campus in Damansara Jaya. This is how the educational institution expanded from one campus to three, and now has close to 7,000 students in total. The college offers foreign partnership and professional accountancy programmes while the two university colleges offer homegrown KDU programmes, from foundation and diploma to doctor of philosophy, that are recognised and certified by the Malaysian Qualifications Agency. Paramount’s private national and international schools, established in 2003, are located in Kota Damansara and cater for children aged 7 to 17. Recently, the company acquired a 66% stake in REAL Education Group, which has kindergartens, private national and international schools and enrichment centres. With the conclusion of the acquisition in April this year, Paramount is now able to meet a broad spectrum of educational requirements, from preschool to tertiary education. According to group CEO Jeffrey Chew, one of the reasons Teo decided to provide private tertiary education was the limited capacity of local public universities back in the 1980s. “At the time, there were only five public universities with limited intake. The other option was to go overseas but that was very costly; it still is. That is how the idea of having a college with twinning or transfer programmes came about, where students could do their foundation programme here and then go overseas in the second or third year to reduce the cost,” says Chew. He adds that the exchange rate was high in the 1980s, further burdening parents who wanted to send their children overseas. Chew says the founders’ philosophy was to be involved in businesses that benefited society, and education was one of them. He opines that the decision to start private tertiary educational institutions has helped reduce the government’s burden — it does not need to build more universities, and there is less flow of funds overseas. According to KDU University College vice-chancellor Prof Hiew Pang Leang, KDU was the first institution with a purpose-built campus when it was founded, and the first to offer twinning programmes. It was also one of the earliest to bring the American Degree Transfer Programme to Malaysia. 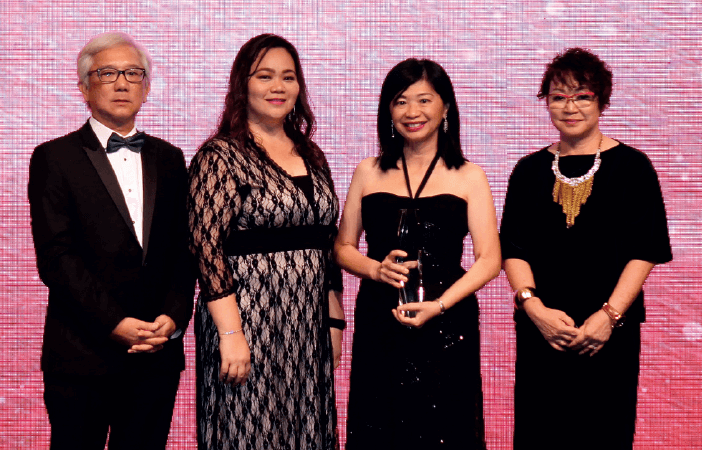 In recognition of its pioneering efforts in private tertiary education, Paramount has been named one of the two recipients of The Edge Malaysia Pioneer Development Award 2017. According to Chew, Paramount’s education and property arms complement each other. For example, people are often attracted to Paramount’s property developments because there is a campus nearby, helping them earn rental income. The other more important point is cash flow. Chew explains that in property development, the outflow of cash is significant because of land purchases while working capital is quite high when construction starts. But it is the opposite for education because cash is normally received immediately upon the registration of the students and so on. Interestingly, Hiew is looking to divert research activity at KDU to property-related matters. “We recently incubated a group of final year students and are guiding them to develop a mixed augmented reality concept that will allow the model of houses to be viewed using a gear before the houses are constructed,” he says. In terms of academic research, Hiew says KDU benefits from the data and customer pool of the property arm. The research team cross-analyses the data to try to understand consumer sentiment. Chew says there are currently 500 tertiary educational institutions in Selangor alone. 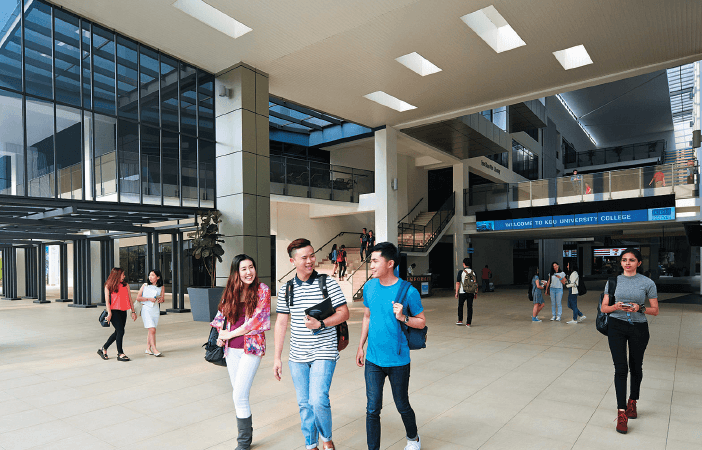 To differentiate itself, KDU has created three flagship schools, namely the School of Computing and Creative Media, School of Hospitality, Tourism and Culinary Arts, and the School of Business and Law, Hiew says. “We chose these three schools because through the learning outcome, the students will be prepared for the Fourth Industrial Revolution once they graduate. We could have focused on engineering or technical subjects that perhaps have been important in the last 20 or 30 years but most of these technical-related jobs are going to disappear because of technology. This is where we are positioning ourselves right now,” he adds. According to Hiew, the School of Computing and Creative Media has teamed up with one of the biggest publishing houses in Japan for sequential art. For the business school, the plan is to make entrepreneurship a mandatory component for students to ensure that they are exposed to and are aware of it. As for the School of Hospitality, Tourism and Culinary Arts, there are many alumni who now have their own bread store or fine-dining restaurant. KDU is trying to get them to talk about their experiences and the challenges they faced to the current batch of students. Every business is faced with its own challenges and KDU is no exception. In the beginning, when the institution introduced the twinning and articulation programmes, the public wondered if they were as good and of the same quality as an overseas programme, and if the employers and the government would accept and recognise the degrees, says Chew. The current challenge is an oversupply of tertiary institutions, and the market has become competitive in terms of fees. “Over the last 40 years, inflation has caused prices to go up three or four times but the fees have maybe gone up only once because of the continuous incoming supply. So, we have to change the way we operate so that we can be more efficient,” Chew explains. Hiew says with the market becoming saturated, it is increasingly difficult to differentiate between a good and bad-quality education. 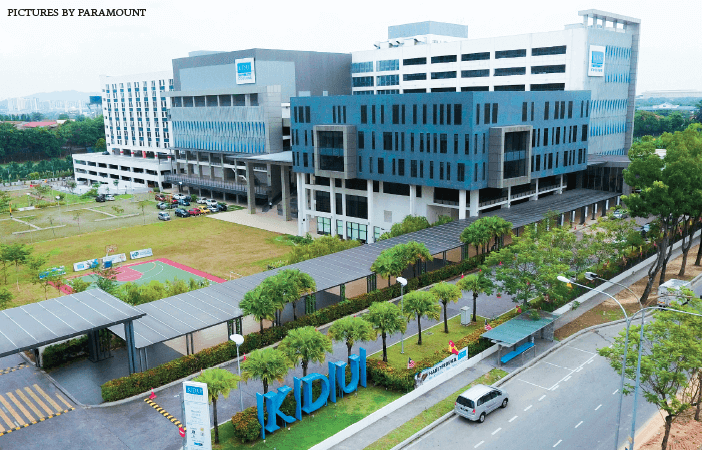 To narrow the gap, Hiew says KDU has come up with the appropriate curriculums and, as a large portion of its staff comes from industry, the programmes are aligned with it. In certain cases, they are co-recognised or co-certified by industry. Under Industry 4.0, new technologies are being made available and businesses could go sideways at any time. To better prepare its students for the future, Hiew says KDU brings in customers and industry representatives to meet them, so that they will have first-hand knowledge of their future workplace. Another challenge faced by KDU is the parents’ perception of its fees. Hiew says with KDU being perceived as a top private educational institution, they assume that its fees are expensive. “Now we are educating the people that, yes, we have first-class facilities and an award-winning campus as well as industry staff who typically cost more than traditional academic staff but we are affordable. This is in line with the philosophy of our founders, which is about creating accessible and affordable tertiary education,” Hiew explains. Hiew has many plans for KDU. As it now meets a broad spectrum of educational requirements, it is looking to create synergy within the group by letting tertiary students work with preschool, primary and secondary students to increase connectivity, he says. KDU is also looking to reconnect with its alumni and to encourage them to improve themselves by signing up for adult education. The selling point of the three flagship schools will be strengthened and fortified, says Hiew, adding that the schools are being promoted in a distinctive manner and will create unique propositions going forward, so that they will continue to be at the forefront of their specific fields. KDU is also looking to have internships, job placements and job shadowing to increase the employment rate. Chew says the group plans to construct another campus in Batu Kawan, Penang, which is expected to be completed in 2019. “We are now shifting our attention to the preschools and primary and secondary schools as we have done quite a bit for the tertiary educational sector in the last three to four years. We would like to expand and build this segment as we believe it still has room to grow domestically and the potential for overseas expansion,” he adds. When people think about KDU University College, Hiew wants their first impression to be that the institution produces students who are entrepreneurial, future-proof and know how to use their skills, knowledge and ability to positively impact the community and nation. “Ultimately, I don’t want KDU to be known for a certain programme. I want it to be known for its graduates, who can hit the ground running and understand how they can impact the community and be recognised as active contributors to society,” he reiterates.